Home / Nutrition / How Will A Juice Cleanse Benefit Me? Many health enthusiasts and dieting experts recommend juice cleanses to get the body back on track and help to release toxins from the system – But does it really work? During a juice cleanse or a juice fast, you will spend a period of time consuming only liquids and juices instead of any solid foods. In most cases, the fast lasts for 24 to 72 hours, but there are some medically prescribed juice cleanses that last for a week or even longer. The drink that is consumed during a juice cleanse includes a variety of fruits and vegetables. While store-bought cleanses are available, the freshest juice comes from produce fed into a home juicing machine. Since fruits and vegetables are high in essential vitamins, minerals and nutrients, consuming this juice gives the body exactly what it needs to maintain and thrive during the fast. Limiting the diet to healthy juices allows the body to reset, rehydrate and release toxins. Benefit #1: Limiting the diet to healthy juices allows the body to reset, rehydrate and release toxins. The end result is often weight loss, but more importantly, juice cleanses provide time for the body to heal, resulting to improved overall health. Benefit #2: Juicing fresh, raw produce provides the body with extremely high levels of vital phytonutrients, enzymes and antioxidants. These ingredients are proven to boost liver function, support healthy digestion and enhance the amount of nutrients delivered through the circulatory system to every vital organ in the body. Since these benefits are not regularly received by Americans as the result of an all-too-common over-processed diet, taking the time to participate in a juice cleanse is something that we should all strive to do on a regular basis. Benefit #3: While many think the weight loss that comes with a juice fast is the result of a reduction in calories, that is only partially true. While juice fasts are lower in calories than diets filled with fast foods, they also naturally reduce the appetite and cravings for unhealthy foods. This means that the benefits of a juice fast continue on after the fast is complete and cause many individuals to make healthier food choices on a long-term basis. A juice cleanse is beneficial for so many reasons, and participating in one can help you to break a lifetime of unhealthy eating habits and finally lose that last ten pounds for good. 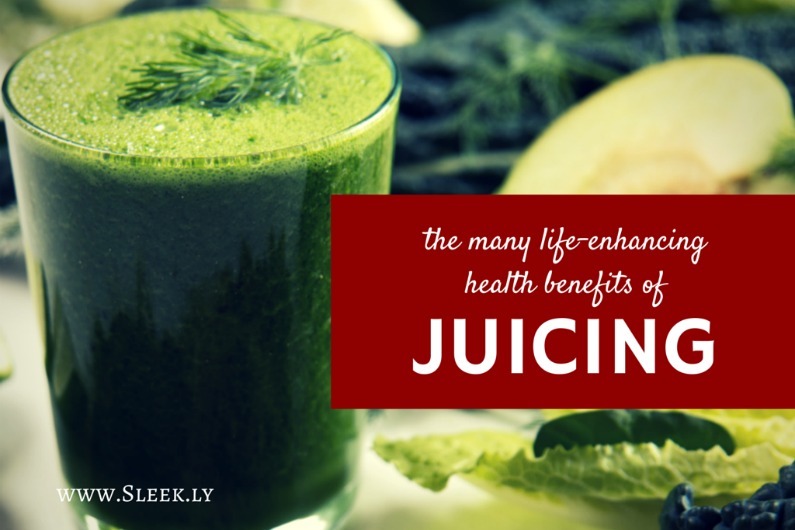 Take the time to explore the benefits of juicing raw fruits and vegetables, and give a juice fast a try to discover a healthier way of living that will benefit you for years to come.